FYI, the option to choose this from the menu only seems to appear when you have a query window open. Just being connected to a database or when working with tables causes the option to be hidden. 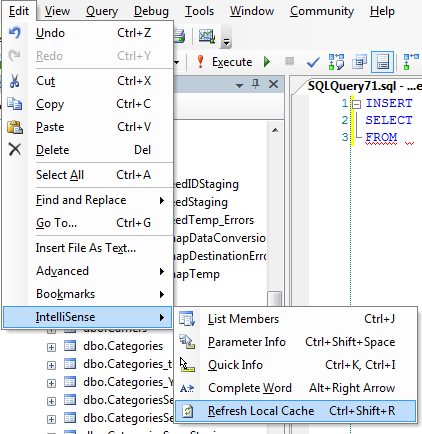 Once you open an existing procedure or open a new query window, the menu option becomes available again.